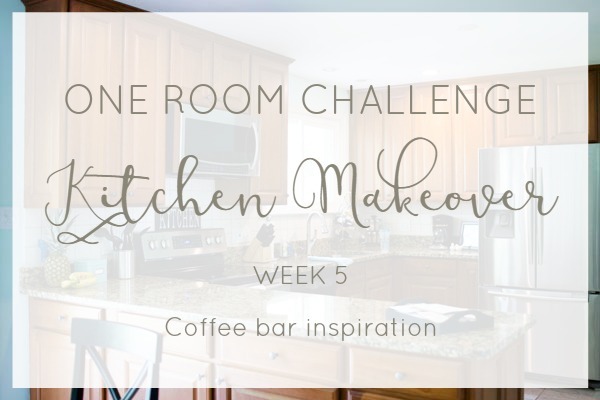 Holy smokes, it's week five of the One Room Challenge!!! 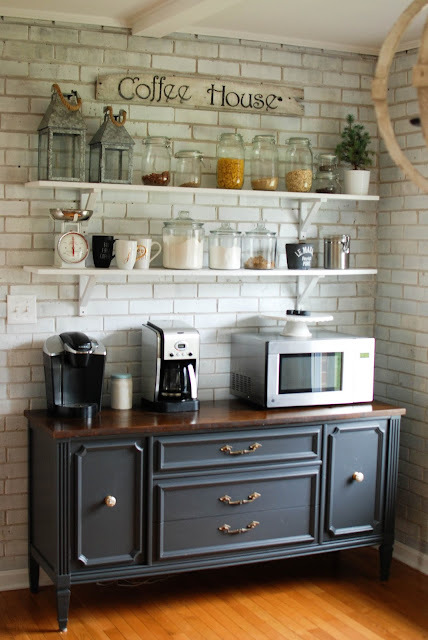 If you're just tuning in, in week one I shared some before photos and why we decided to makeover our kitchen. In week two, I shared our design plans and mood board. In the following weeks, I provided some progress updates. This week, honestly, I don't have much to share. As I mentioned in the beginning, we've had a big trip planned during the ORC all along, and this past week was it! We just arrived back from a week in New Orleans on Tuesday. I lived there as a kid and still have lots of family there, so we visit every couple of years. This time, we got to celebrate my cousin's wedding and played tourist seeing a lot of things I hadn't seen since I was little. Although it really put me behind on the ORC, we had a blast and I am so thankful for the time with my family! It was well worth it. So, that means I have exactly one week to finish the shiplap, install the new backsplash, create a coffee bar, and decorate. Eeeeeek! Crossing my fingers that everything falls into place right on time! 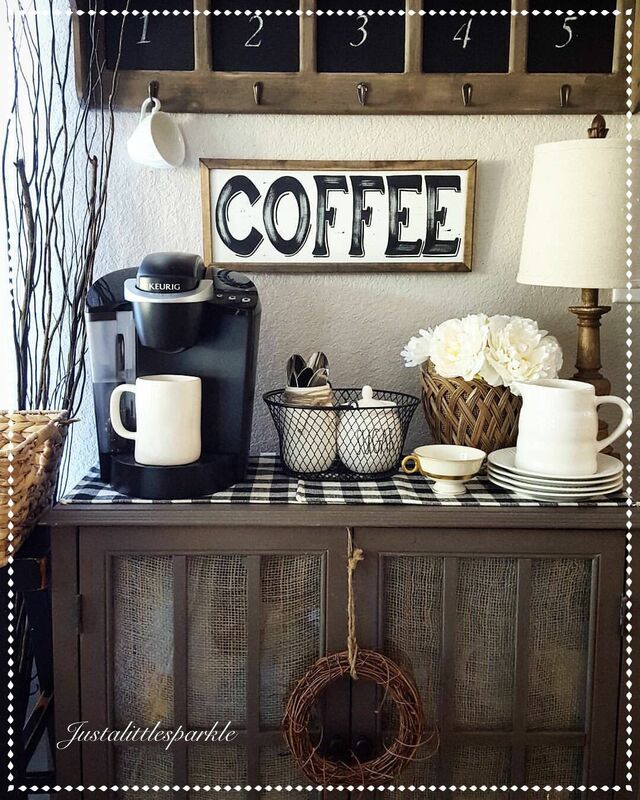 Since I don't really have many new progress updates to show you, I thought I would share some coffee bar inspiration today. 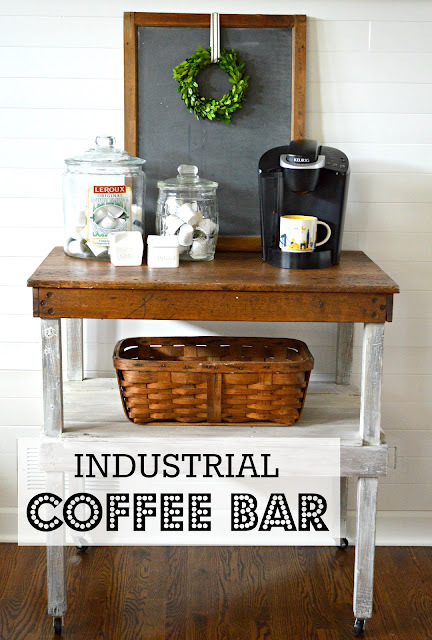 I'll be hard at work creating my own coffee bar this week, so here's some of the spaces that have inspired me. I can't wait to see how the wall looks! So excited for the reveal next week!